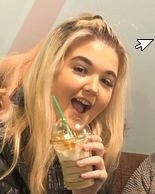 Kent Police is appealing for information to help locate a teenage girl who has been reported missing. Barbora Horvathova was reported missing from Basildon, Essex, on the evening of Friday 21 September 2018 and she is known to have connections in Medway. The 17-year-old is described as being around 5ft 3ins tall with a slim build and straight, brown hair. Anyone with information is asked to call Kent Police on 101 quoting 21-1918.